Free Brakes for Food Banks! 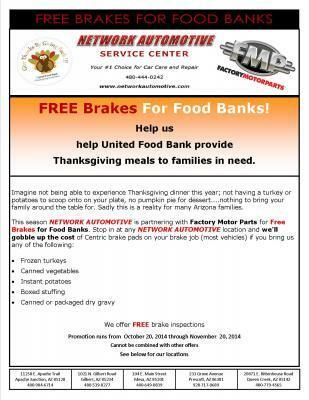 Stop in at any of Network Automotive Service Centers' five locations and receive free brake pads (most vehicles) for donating food items. We also offer free brake inspections.